Product #2311 | SKU BEHPS3000 | 0.0 (no ratings yet) Thanks for your rating! Whether you're mixing a recording, monitoring a bass line or just enjoying an MP3, you want your headphones to deliver a wide frequency response and high dynamic range. 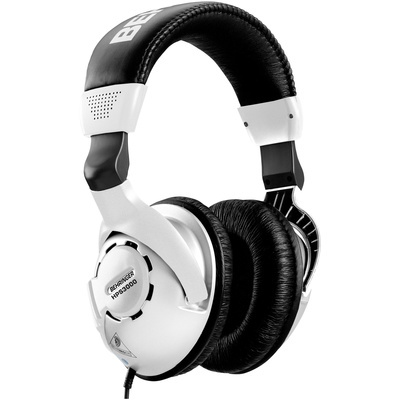 The HPS3000 headphones provide incredible performance for a price well within any budget. The HPS3000 provides everything you need for comfortable listening. The oval-shaped ear cups contain high-resolution cobalt capsules that deliver every nuance of your sound. Because of the demands of your active lifestyle, we've engineered the one-sided cable from the finest oxygen-free copper wire that resists tangling and provides maximum durability. It also comes with a 1/4" TRS adapter for the 1/8" TRS connector, making it compatible with everything from your MP3 player to your mixing console. With the HPS3000 headphones, you get truly exceptional sound reproduction at a price that will make you smile every time you plug them in! Check out a pair today at your nearest BEHRINGER dealer.